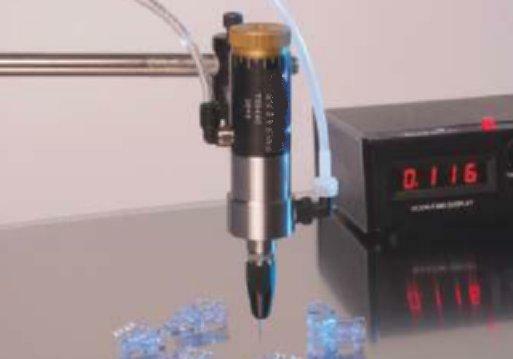 High speed dispensing valves for making micro dots and beads of adhesives, inks, solvents and other fluids. The inner needle shuts off near the tip end which improves control and eliminates drips. 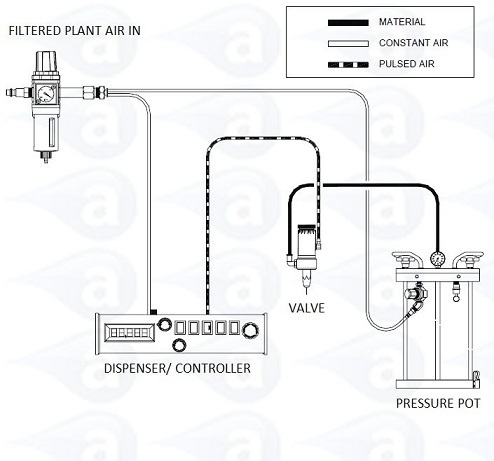 Use these valves with our standard pneumatic timed controllers or hand lever for non-timed. Use our valve selection guide page. 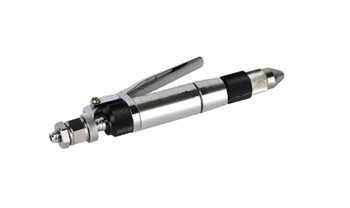 Precision valves will dispense accurate deposits direct from syringes, cartridges or pressure pots. Valves operate with minimal maintenance, ensuring clean and accurate dispensing & can be fixed on a production line or onto an XYZ robot. Precision dosing valves with a needle assembly to apply precise dots or very fine beads of low to medium viscosity adhesives and fluids such as activators, inks, gels, solvents, lubricants, glue's, chemicals and UV cure adhesives. Needle design at tip end reduces dead space for a very fast shut off and higher levels of control. Needle valves are designed to apply micro shots without drips. The valve design is vertical with fluid flow from the side by syringe, cartridge or fluid line feed (from pressure pot). Use black fluid line feed tubing with UV cure adhesives. Please use our valve selection guide page. Precision valves will dispense accurate deposits direct from syringes, cartridges or pressure pots. Valves operate with low maintenance, ensuring fast, clean and accurate dosing whether used by hand, as part of a production line or when mounted onto an XYZ robot. 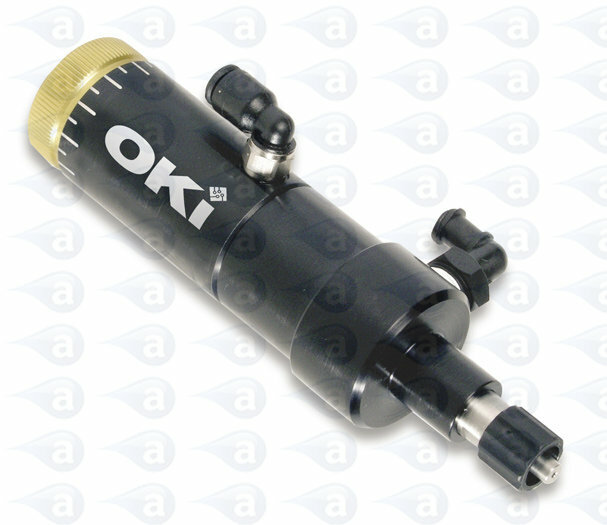 Do not use this valve for reactive adhesives or fluids such as Cyanoacrylates. The valves are easy to use and maintain with user replaceable spare parts. Use with TS250, TS350 or TS500R recommended controllers. 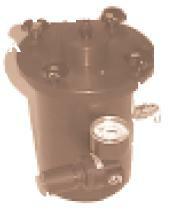 Use TS1215, TS2220, TS2250 TS1258 or TS22100LS pressure pots. Typical Applications:- Deposits of UV cure glues, lubricants adhesives, solvents, primers, inks, oils, flowable liquids, threadlock adhesives & many other assembly fluids.